Launceston R/C Dominates Tassie Champs! The team from Launceston R/C went to Hobart, and conquered the 2012 Tasmanian EP On Road Championships. Three of the four championship titles on offer came back north, with Andrew Mackenzie doing a phenomenal job to conquer the Stock Touring field, while Scott Guyatt picked up Super Sport and Mini. The other Championship win in the entry level Pro Tourer category went to Victoria’s Aaron van Berkel. Apart from the wins, the Launnie crew were a force in each of the classes in which they were represented. Andrew Mackenzie was joined in the Stock Touring final by Rocket Houghton while Ian Scott, Jade Chandler, Gene Newell and Derek Beresford battled it out in the B final. Over in Mini, Launceston’s Andrew Mackenzie and Damien Betts made the A final along with Guyatt, while Ian Scott, Matthew Chandler and Graham Viney were well in the mix and put on some great racing in the B final. Sam Wells was unlucky not to be on the Super Sport podium, a broken driveshaft late in the last final taking him out of contention – but a fourth place finish in the fastest class some consolation. Rocket qualified 5th and fought out some tight finals to also uphold LRC’s honour! Over on the mainland, Launnie R/C regulars Mark Rayner and Justin Strickland did a fantastic job at the Australian nitro Buggy Champs this weekend – Rayner finishing in the 1/4 finals, Strickland the 1/8th finals. Tassie fast guy Tim Parsons was on fire, bumping from the 1/4 to the Semi, and eventually all the way to the Championship final – finishing 11th against the best in the land (and some of the best in the world!). Well done guys! 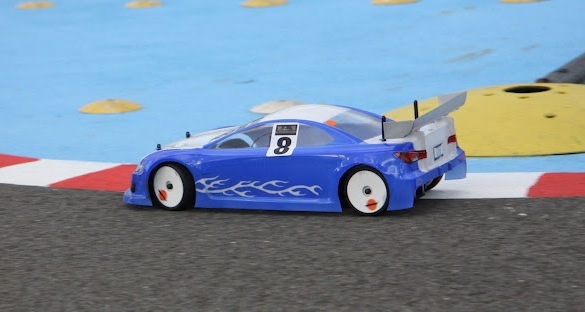 8 Responses to Launceston R/C Dominates Tassie Champs! Was circulating all day Friday around 1/2 second off the pace of the fast guys, had a few minor breakages along the way to over come, loosing track time(driving was a bit rusty). Got both cars faster over the course of the weekend , but too little too late to make a big impact on the front runners. I have to admit I was struggling to get my head around the new speedies and motors that are being used now, and how to get speed and consistency out of them. This was my first race meet using the new breed of systems, and it was a steep learning curve. Spent a lot of time playing with gearing and programming , and didnt play with car settings at all the entire weekend. (which really showed) The cars in kit settings just were not quite sharp enough. Gees that was a great buzz,what a great track,cant wait till next year!i reckon i will go down in two weeks for their club day,cool! What a fantastic weekend. Congrats to all racers. There was some great racing in all classes.. It was good to see so many racers improving as the weekend progressed. Much appreciated tips and advice were gained from more experienced racers. The track was awesome combining some challenging and high speed sections. Looking forward to next years event and getting down during the year for a regular run. Congrats to the north west nitro boys, great job at such a massive event. Hi Scott,is there any photos we can see?